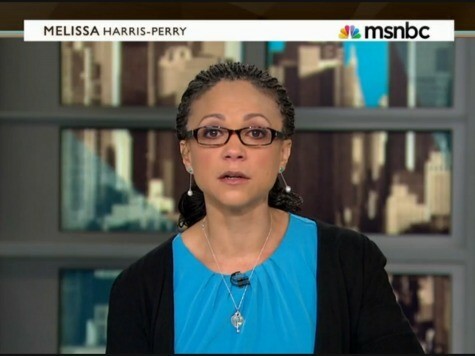 Crying her way through yet another apology by an MSNBC host, Melissa Harris-Perry backpedaled, saying her previous week’s show was not intended to mock the adopted African-American grandchild of Mitt Romney. Last weekend during Harris-Perry’s New Year’s segment which included comedians Pia Glenn and Dean Obeidallah, the group found it fun to mock adopted grandson Kieran because his skin was black, unlike the rest of the Romney family. One might guess that what is supposed to be funny here is that the races shouldn’t mix. Although Obeidallah, Harris-Perry, and the panel found it funny that the picture of the Romneys reminded them of the lack of diversity in the Republican party, many might not. Of course, apologies are a way of life for the left-wing MSNBC as of late. Last month, Martin Bashir resigned after asserting that former Governor of Alaska Sarah Palin deserved to a be a repository for human excrement. Adding to that class act, in November Alec Baldwin was fired from his show, Up Late with Alec Baldwin, for screaming at a photographer “c***-s***ing f*****.” Aside from MSNBC, Baldwin’s epithets did not go over well with gay rights groups either. In light of all these incidents, MSNBC faces serious credibility issues while it already is struggling with ratings, falling behind CNN and way behind FOX news. Now that MSNBC has lost all appearance of being balanced, these issues will continue to stall any development as a convincing news outlet.